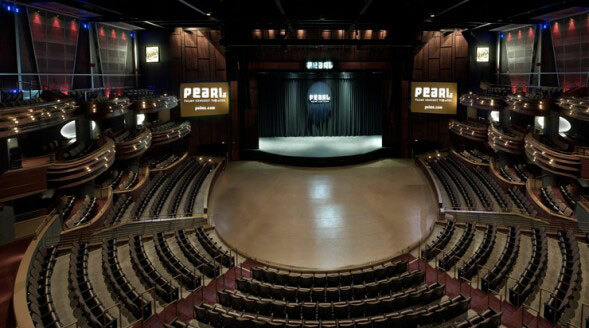 If you are planning on visiting The Pearl theater at The Palms Resort and hotel, then there is only one place to go for pre and post concert drinks—Camden Cocktail Lounge. Here at Camden, we pride ourselves on our warm and welcoming environment and on having the best drinks in all of Las Vegas. But that’s not the only reason that you need to head to Camden before and after all of our big concerts at The Pearl. We are also located in the newly renovated Palms Resort and Casino and have the perfect convenient location to pop in around show time. If you are planning on attending one of the many concerts held right here at The Palms at our Pearl Theater and you really want to get in the mood for all of the excitement that these shows have to offer—we have the perfect cocktails for you. We even have specialty drinks that are inspired by the acts that are appearing at The Pearl. For example, if you are planning attending a concert at The Pearl, why not come in and try our Isn’t It Ironic cocktail. It is a fresh and fruity drink served in a pineapple that you have to try. We take watermelon juice, ginger, lime, Cruzan rum and Coconut whipped cream to create a fresh and fruity drink that is perfect for those hot summer nights. If you are coming in to see the Blink 182 residency, why not try our All The Small Things cocktail? It is actually four delicious small drinks that will give you a little sample of the best of the best that our bartenders have to offer and is the perfect sampling of drinks. They are served in small, edible cones and are garnished with edible flowers. We use liquid nitrogen to make these cocktails and serve them frozen. We also have another Blink 182-inspired drink made with edible cones called the Kings of the Weekend. It is made with Elderflower tonic and Belvedere citron and made with liquid nitrogen to be served frozen as well. It is the perfect fun yet bold drink to represent this one-of-a-kind residency. So, next time you are headed to The Pearl for a show, make sure to come into Camden Cocktail Lounge, both before and after your concert for fun drinks, friendly bartenders and the best cocktail lounge atmosphere in all of Sin City. We know you will be happy you did. Previous PostPrevious What Makes Camden’s Cocktails Different?